The economic impact the Webster County wind farm has made so far has been a breath of fresh air for area businesses. From the 100,000 cubic yards of yellow stone gravel collected from the laydown yard utilized and repurposed on nine road projects to the $100,000 to $300,000 per year in revenue generated by electricity produced by the 40 turbine, 89-megawatt wind farm annually, the project has so far lived up to expectations of Webster County board members, who continue to monitor its impact on the county and surrounding communities as a whole. Click here to read more. OPPD has contracted with NextEra Energy Resources to build a 160-megawatt wind farm, called the Sholes Wind Energy Center, in northern Wayne County near the village of Sholes, which is south of Randolph. The project is scheduled to begin in March 2019 and to become operational by December. OPPD will purchase all the wind farm’s electricity over a 20-year contract, its first with NextEra. 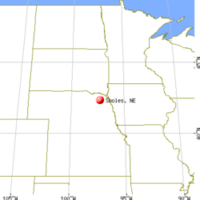 This entry was posted in Nebraska / Midwest News and tagged Cottonwood Wind Energy Center, economic benefits of wind energy development in Nebraska, NextEra Energy Resources, Sholes Wind Energy Center, Steele Flats Wind Energy Center on January 11, 2018 by Helen Deffenbacher. completion . 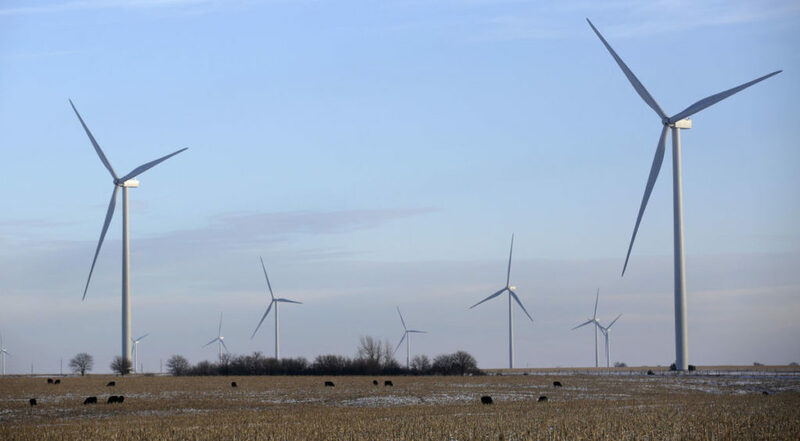 . . Electricity from the wind farm will be sold to Northeast Nebraska Public Power District and the cities of Beatrice, Fremont, South Sioux City and Wayne. According to a fact sheet for the project, Cottonwood Wind Energy Center will generate more than 200 construction jobs and six to 10 full-time operation jobs. Regarding income, $9.4 million in property taxes and $30 million in landowner payments are anticipated during the first 30 years of the project. [Project Manager Phil] Clement said the turbines are built for a 35-year life span. 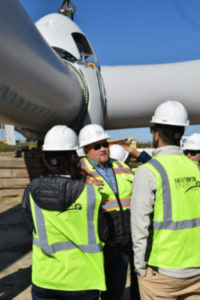 This entry was posted in Nebraska / Midwest News, NewsBlog and tagged Blue Hill, Cottonwood Wind Energy Center, economic benefits of renewable energy development in Nebraska, Hastings Tribune, NextEra Energy Resources, renewable energy jobs in Nebraska, wind energy development in Nebraska on October 17, 2017 by Helen Deffenbacher.